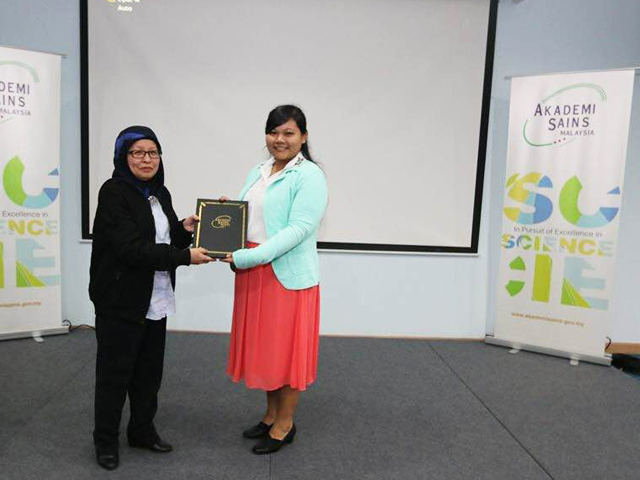 UTAR year-three Biomedical Science student T. Siroshini bagged the second prize of the Young Scientist Network-Academy of Sciences Malaysia (YSN-ASM) 2nd Creative Science Writing Competition, organised by the Science Journalism Committee of the YSN-ASM. Siroshini took home RM700 and a certificate for her efforts. She received her rewards from the Acting CEO of ASM Hazami Habib at a prize giving ceremony held on 2 November 2015 in Menara Matrade, Kuala Lumpur. The national level essay competition, carrying the theme of ‘Climate Change’, managed to attract many entries from across the country. Siroshini emerged as winner for her essay titled ‘When There Is No Turning Back’, drawing on the memory of floods which occurred back in 2014. 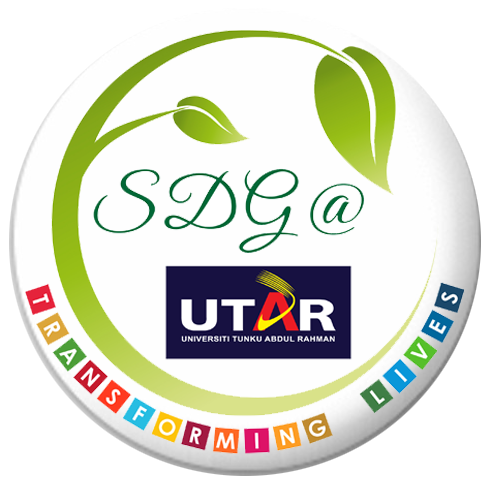 Participants were required to write an 800-word discourse on environmental issues and rapid climate change dilemmas. Her essay focused on the risk of water-borne pathogens that flow into sources of drinking water which eventually result in the transmission of diseases such as typhoid fever, cholera, leptospirosis, melioidosis, malaria, and dengue. Adding on, she emphasised that contaminated water from floods is a highly conducive environment for bacterial growth and encourages many more potential diseases. Organised for two consecutive years in 2014 and 2015, the national level of YSN-ASM Creative Science Writing Competition was open to all undergraduate and postgraduate students of higher learning institutions.